Bicycle mechanics school. Ukraine's first bicycle mechanic courses. Open a collection of students. We, as the first and largest network of bike rental and repair in Ukraine, often have to deal with the problem of the personnel, namely the lack of qualified people to work in our service divisions. We literally have to grow themselves bicycle mechanics to have a quality repair at our service centers. Therefore, the main purpose of its existence, the bicycle mechanic school puts, first of all, the training of skilled workers in the field of service and bicycle repairs. The School program provides for three levels of training, three levels of awareness and professionalism. The first course. Bases. After completing this course, students will have a base of knowledges and skills sufficient to maintain in good working order their own bike and bikes of their friends. Students who complete the course will receive a certificate of its completion. The duration of the first course - 14 hours, classes are 2.5 hours per day, or 2 full days with 7 hours. During their training future mechanics gain knowledges and understanding of the purpose of different kinds and types of bicycles and their distinctive characteristics, skills technically correct troubleshoot and maintain of your bike in good condition, skills grease all nodes of a bicycle, how to change or to seal punched chambers, to install supplies (pads, tires, chain), to adjust the brakes and transmission, as well as align small eights on the wheels. Tuition fees at the first course is 599 UAH per person. For the first 5 registered and confirmed their participation - 500 UAH. Classes are held on the basis of the repair shop Veliki.ua in Kyiv at the address: Dehtyarivska 51B, Beresteis'ka subway. Contact tel. 050-388-27-00. Second course. Pros. This course includes teaching students the skills and knowledge necessary for future employment as a mechanic in the entry-level bike rental, in the bicycle shop and workshop, as well as the certification of skills students already working in the field of repair and service bicycles. Duration of the course 18 hours, classes are 2.5 hours per day, or 2.5 days. The course includes lessons on service and repair of all parts of the bicycle, including the brakes, bearings, wheels, focusing on assembly, repair and maintenance of bicycles according to the manufacturer's specifications. Installation (replacement) of cables, casings and lines followed by adjusting brakes and gears. Settings, diagnostics and maintenance without complete disassembly of planetary type plugs from different manufacturers. Edit (repair) of deformed parts of bicycle components and frames . Wheel spoke lacing. Selection of a specific length of the spokes and the rim hub. Replacement of parts, which require a specific approach. Service of initial level plugs (spring and elastomers). The certificate receives only those students who score 75 or more points at the graduation writing test. For training at the second course future student of the School should have a knowledge based on 1st School courses. The cost of training оin the second course is 999 UAH per person. For the first 5 registered and confirmed their participation - 850 UAH. Classes are held on the basis of the repair shop Veliki.ua in Kyiv at the addres: Dehtyarivska 51B, Beresteis'ka subway. Contact tel. 050-388-27-00. The third course. Guru. Knows how to do everything on the 1 and 2 course? Awesome! Then we have an offer for You to go to Guru Level and learn to collect the bikes literally bolt to bolt. After completing the course you will be able to choose the right size of frame geometry, to take into account the subtleties of calculating the number of transmissions. Insight into the theory and practice of assembling of the wheels, and other nuances of repair and maintenance of bicycles, after learning you will be able with certainty to obtain a position as senior bicycle mechanic. Duration of the course 12 hours of lessons; 2 hours a day or 2 full days. The certificate received by students, who collected 85 points or more on a final written test. For the third course of study at the School future student must have a knowledges based on 1 and 2 courses of the School. Beginning of classes specified.Tuition fees for the third year is 1499 UAH per person. For the first 5 registered and confirmed their participation - 1300 UAH. Classes are held on the basis of the repair shop Veliki.ua in Kyiv at the address: Dehtyarivska 51B, Beresteis'ka subway. Contact tel. 050-388-27-00. Open enrollment for the third course of bicycle mechanics school. Based on our experience in training more than 100 people over 2014, part of the technical information may be perceived by different people in different ways. So we tried to form a group so that all the students were more or less at the same level, but if some topics cause you difficulties in understanding, if desired, after hours, you can always ask teacher to pay you more time for an extra money. 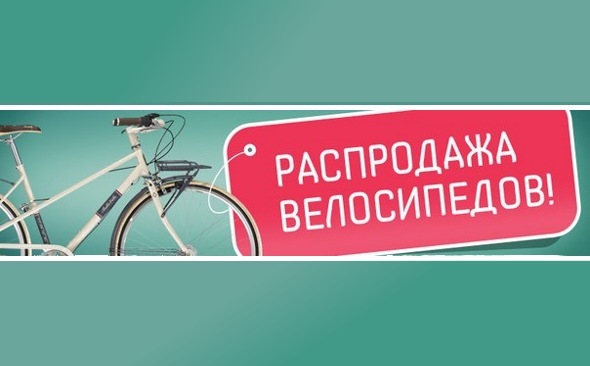 to students with excellent proven bike mechanics side will be given the priority in employment in the service centers and shops of Veliki.ua and Veloplanet. What is included in the cost of education? Company gives work space for the mechanics, the training stand, the tools you need and handouts. Who leads the course? 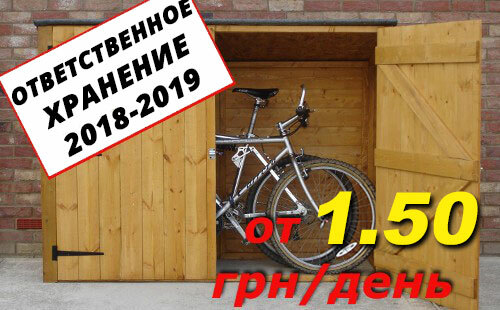 School programs lead our staff bicycles mechanics, who are already working in the market of repair bicycles for 7 or more years and serve a huge bike park of veliki.ua, as well as teachers working in technical courses of foreign companies such as CatterPillar. Some lessons and master classes will be lead by special guests - bicycles repair market guru. Watch for announcements. I'm from another city! For people from other cities we contribute in hotel accommodation, located close to the Mechanics School, and other logistics related to travel, meals. The main is to point in the registration information that you are in another city and you want to come here to study. For larger groups of students (from 4 people) - discounts. Do you want to become a sponsor? We want to create a really great bike mechanic school and with the quality of the tools ParkTool, Birzman, components SRAM, Shimano it will be even better. We are ready to talk on the subject of sponsorship and help to our young university! :) Call us 050-388-27-00.